I read a lot, of course. I love stories that are told simply, where the writer is unobtrusive and the characters and plot say it all. I think it was Einstein who said it is easy to make something complicated, but it takes genius to make things simple. Einstein gets blamed for a lot of stuff, I know, but you get the drift – there’s a simple that takes mastery to achieve. It is hard to write stories that are so clear and transparent you can see right into the souls of the characters. That’s what works for me. I don’t care what the genre is. If it does that, I’m in! I like that kind of simple in everything, from the way my garden is laid out, to how my furniture is arranged. I love walking in nature, listening to the birds, and, especially if water is involved, I am in heaven. I started writing at about 30, pretty much as soon as I got a sense of who I am. I had been working as an actress, and before that as a model. I knew the arts were for me. The thing that drew me to writing was that I could do it all myself without anyone telling me what my part was or where I had to fit in. I’ve always responded best to the beat of my own drum, which I can hear loud and clear most days. I studied creative writing at Columbia and came to appreciate the astonishing virtuosity of our writers. But the pivotal shift for me came when I realized I am not at all interested in writing for its own sake. Sometimes, I find the writing can get in the way of the work. The writing I love is where the writer becomes invisible. 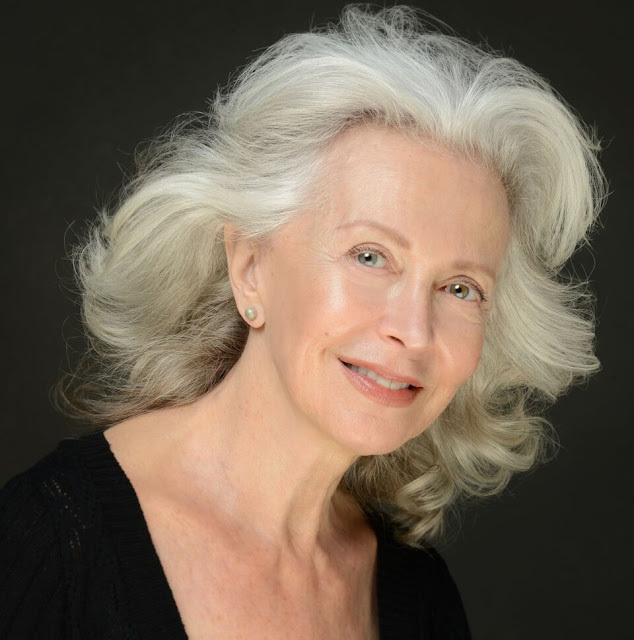 I found it hugely liberating to disappear into my characters and their world. I have never looked back. I’d go to Connemara in Ireland. It was home to John O’Donohue, a poet who lights up my life. He talks about “landscape as presence” and celebrates the spiritual connection of Celtic culture with the natural world, where every brook and feature of the land has a name, a history and a divinity. I have always been affected by the energy of place. I am inspired by the mists and shades of the British Isles and the accents and wordplay of the natives. It makes me want to write! I’d go to a nearby beach. It’s across railroad tracks and a scramble down a cliff, so it gets left alone a lot - but not by the seals. I love bodies of water. Here in Southern California, the most accessible one is the Pacific Ocean. Not too shabby! Egypt. I spent 2 months there and it felt like déjà vu, especially sailing down the Nile, while in Luxor. Back to your present book, Night In Jerusalem, how did you publish it? I self-published, using a talented designer who turned my manuscript into an elegant book. 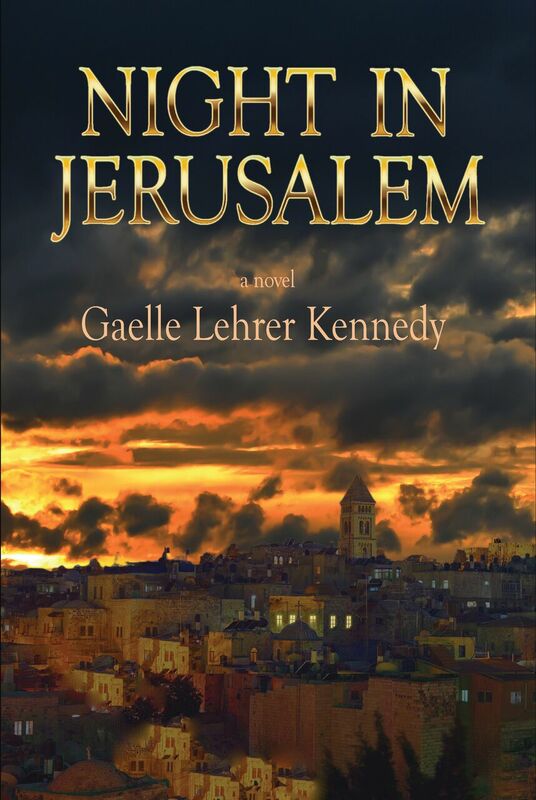 The book draws on my experience in Jerusalem around the time of the Six Day War. I spent the best part of 10 years in the city and wanted to capture how it was when I was there. The neighborhoods and important landmarks have not changed much. I checked with Google maps to make sure I had the street names right and, where there were discrepancies, confirmed my recollection with friends who still live there. Aside from having the geography laid out accurately, it was important for the book to capture the feeling of the city at that time, so the main travelling I did was back through time, to connect with the energy of the place and its people when their everyday survival was not taken for granted, despite thousands of years of presence. The city embodies the spiritual practice at the heart of much of our civilization and is an architectural wonder in its own right. In some ways, it is with all of us, wherever we are. 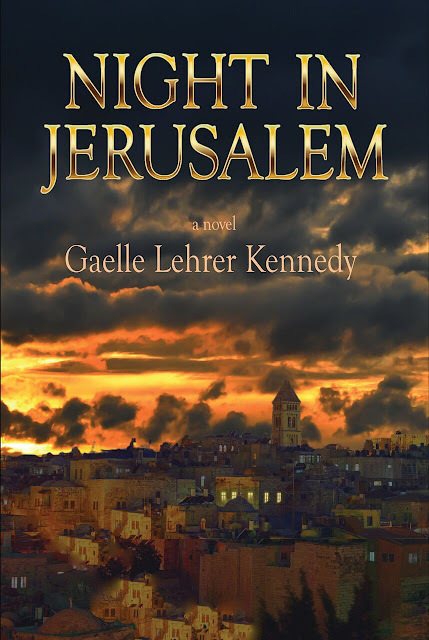 Why was writing Night In Jerusalem so important to you? Winston Churchill wrote that there is nothing as exhilarating as when someone shoots at you and misses. When I went to Israel, I was a naive twenty-year-old. To me, the possibility of war was remote. I imagined the tensions in the region would somehow be resolved peacefully. When the Six Day War erupted. I experienced it firsthand. I remember as if it was yesterday the time I spent in shelters with other women, listening to Arab news reports on the radio proclaiming victory while we contemplated how we would end it for ourselves. It turned out, of course, that the war went the other way. We were to live! Jerusalem was re-unified! Now, that was exhilarating. At the same time, the search for peace, the endless arguments about what it should look like, and the courageous, impossible loves that thrived despite all odds - the themes of Night In Jerusalem - have been with me my entire life. I do not have answers to the questions they bring up: why does it take such courage to truly love, how impossible it seems to bring peace to the world, and, of course, why “God works in mysterious ways.” The characters in the book, and their responses to the challenges they encounter, express different points of view that I share, even as they conflict with each other. I want the book to show how these differences can be contained in fulfilled and inspiring lives, and how happiness depends on us embracing our individual destiny, not on following any prescribed path. Night In Jerusalem speaks with the voice of my heart. The love story in Night In Jerusalem came to me on a movie set. We were filming on a blazingly hot day, dressed as lightly as possible, the men stripped to the waist. An orthodox woman in long black clothes and a wig kept coming out to look at us from her balcony. I sensed how strongly she yearned for contact. The gap between us could have been crossed in a few paces, yet we were centuries apart. I imagined what it was like to be her, what courage it would take for her to break free, how she might do it. Decades later I wrote the book. I pay attention to people and imagine their stories. They are everywhere. you will probably be given your newly-prepared academic pieces of paper in the twinkling associated with an eye!